MSPORT, NAVIGATION, COMFORT PACK, HEATED ELECTRIC SEATS, COMFORT ACCESS SYSTEM, DAB DIGITAL RADIO,REVERSE CAMERA, BLUETOOTH, DRIVING ASSISTANT and MORE! Do not miss this LIKE NEW DEMONSTRATOR - ready for viewing at our BMW Facility. 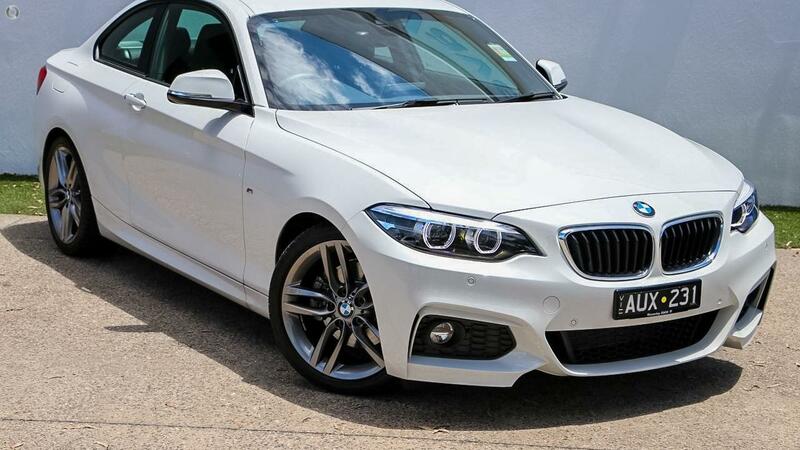 This Genuine Demonstrator BMW 220i MSport Coupe has it all. LIKE NEW and Finished in Alpine White, and complimented with Black Premium Leather Interior, do not miss out on this stunning Ultimate Driving Machine - Save thousands off New Car Price!